At Campsite Am Kapellenweg in Saas-Grund (Valais) camping costs as little as €20,- per night during low season with CampingCard ACSI. 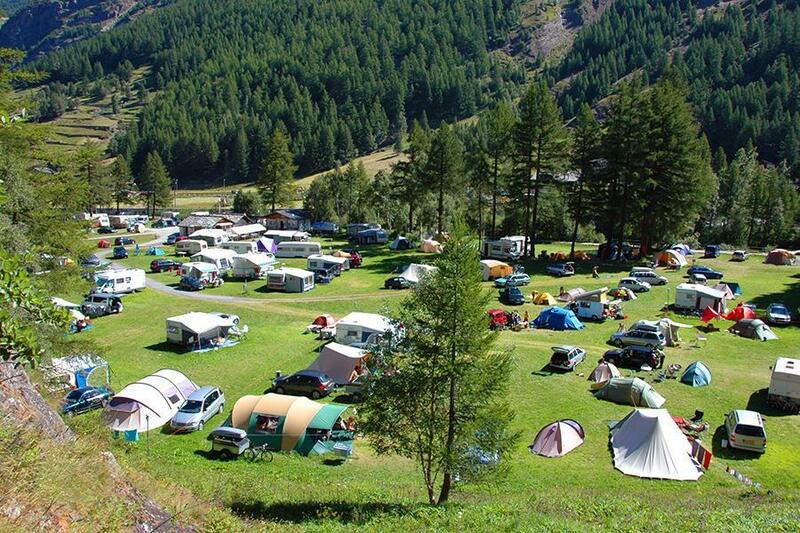 At one of the 100 touring pitches you will get a discounted rate during the period 10-05-2019 - 30-06-2019 and 19-08-2019 - 13-10-2019. At this campsite you can not only use your CampingCard ACSI for inexpensive camping, you can also use your ACSI Club ID (as an alternative ID). Alpine campsite located in beautiful scenery near a village. Perfect for walking, also for inexperienced walkers. Mandatory use of a 'Bürgerpass'(excluded) gives you the right to use the cable cars in the Saas Valley. Loverly location. Was given a card which allowed use of local busses and cable cars at Sass Fee and Sass Grund. If cable cars used if was VERY good value. Open campsite with pitches not well defined. Water only available at toilet block. Would you like to book Campsite Am Kapellenweg or request more information? You can do both using the information below. In Visp direction Saas-Grund and Saas-Fee. In Saas-Grund centre direction Saas-Almagell. Campsite after 700m on the right. CampingCard ACSI will send your information request to "Campsite Am Kapellenweg".